Crafting Confessions: A Very Happy Birthday! Wowzers! It's bright - but I think I likey! Again, struggling with daylight for my pics - I'm gonna have to be more organised with my inky time and use weekends for my photography sessions! New freshly inked stamps on this card - ahhh I love new inky love *sigh*! It's like playing with a shiny new toy for me! Lovin' my Hero Arts Ledger stamp in particular. As always, we'd love it if you could play along too! All you gotta do is be inspired by Heather's creation this week and CASE away in any way you feel inspired to. I was sold on the layout and the bold turquoise but you can pick whatever floats ya boat - that's the joy CASE study! Check out what the rest of the CASE study DT came up with - you'll be surprised at how many different styles and interpretations come from just one point of CASEing! Need more tempting to play along? Well one randomly chosen participant will win an All Season Swirl stamp set courtesy of Christina Franco from The Angel Company! Have a super weekend if I don't see you before! We've got a fun Saturday night planned; Chris and I are off to a birthday party where you gotta dress up as your favourite character or toy as a kid....definitely had to put my thinking cap on for that one! I'm thinking Daphne from Scooby Doo - it's either that or Wilma Flintstone which could get a bit chilly with nothing on my feet! Ha! Love your work Aimes! It's such a bold and bright colour combo! I likey too! I'm not usually one for bright colors but your card looks sensational! Love the design, that image that fades out...all looks marvelous. Super work, my friend! Ohh, I super love this card!!! It's so pretty!! I want the ledger stamp too!! 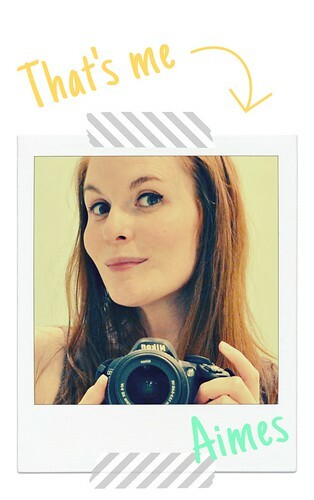 Awesome card, Aimes--wonderful design! I like the simplicity of subtle dots with the ledger. 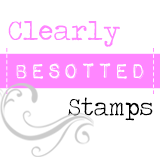 And love the gradient stamped sentiment--very effective! Have a fun weekend!! What a neat card! I love the gradient stamping! Super cute! :) Love the fun use of the Happy's! The colors are amazing in this card, and I really enjoy the bold colors. Love it! I especially like the colors too! Lovely card Aimes, girly and bright :) Loving that big bow too! Can't wait to see pictures of what you eventually dress up in on Saturday night. Have a good one! Oh Aimes! So glad you stepped outside your color comfort zone 'cause this is gorgeous!!! Love the gradient stamping too! I have real trouble getting it right but yours is perfect! Love the subtle polka dot background too. Great CASE girl! Can't wait to play along! I love the gradient look and the other elements you included. So bright and cheerful, my screen lit up on this gray day opening to your page! Can I say trendy?! Super cool card, love that ledger stamp too, but I really dig the gradient stamping! 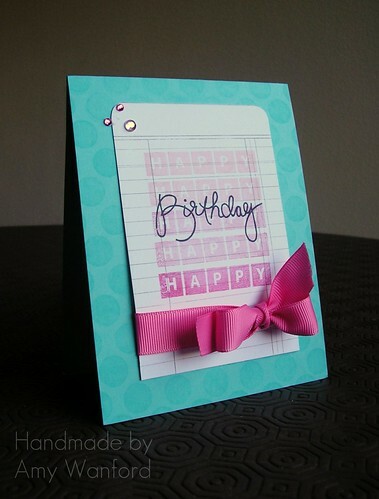 Fabulous card, and WOW the gradient stamping looks awesome! Love the colors and the addition of the rhinestones. Love, love, love this one, Aimes! You know I LOVE bright color combos! This card is amazing! Oh I just love this! love the gradiant stamping!